ABUS 3 star kitemarked cylinder - Designed to meet the insurance standards with out the need to fit high security PAS handles. 3 keys are supplied with the cylinders (unless ordered keyed alike). Emergency key feature : This allows the door to be opened from the outside even when a key is left in the cylinder inside. An ideal feature for carers and muliple resident homes. Anti-Snap: Extra screw insert ,this simple screw prevents thieves inserting a ’snap tool‘ thus preventing a ’snap attack‘ before it can happen. The patented built in ’anti snap‘ mechanism prevents the cylinder being forced by ’snapping‘. Anti Bump: The patented built in ’anti bump‘ mechanism prevents any ’bump‘ manipulation of the cylinder. Anti Pick: The paracentric nature of the keyway prevents simple picking. ABUS have been making locks since 1924. 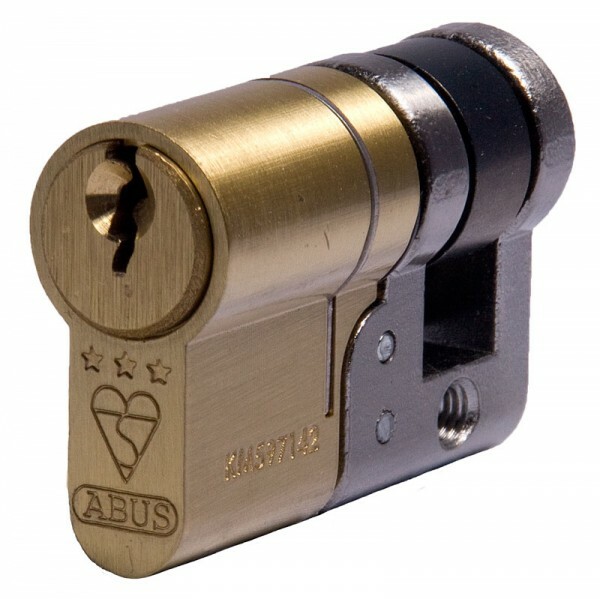 ABUS E90 BSI*** cylinders are a celebration of 90 years manufacture & supply of quality security solutions.